Everything you need for a deliciously cozy, home-style breakfast in one box. 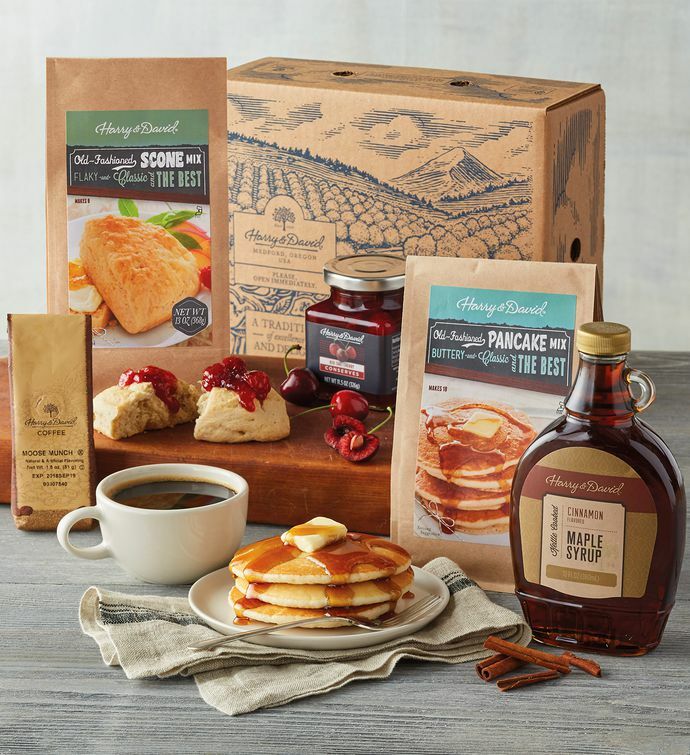 A great choice for sharing with loved ones or sending across the miles as a thoughtful care package, this gift includes buttermilk pancake mix and old-fashioned scone mix, along with sweet cinnamon maple syrup and tart red cherry conserves. And don't forget the Moose Munch® Coffee to complete a lovely morning.